Bookish puzzles, phantom mysteries, and evil curses await as Elizabeth returns to Winterhouse in Book 2 of this magical series. Back at the Winterhouse hotel for another holiday season, Elizabeth and Freddy dig deeper into the mystery surrounding Riley S. Granger, a hotel guest who left behind odd artifacts—one being a magical book that the evil Gracella Winters once attempted to use to gain destructive power over the entire Falls lineage. The two friends follow a trail of clues, inadvertently attracting the attention of a suspicious new hotel guest: Elana Vesper. The clock is ticking as Elizabeth and Freddy struggle to figure out whether Elana is merely a pawn or a player in the plot to revive the spirit of Gracella. If that wasn’t enough, Elizabeth suspects she is coming into her own special powers—and she’s fearful it might lead her right into Gracella’s vicious web. Mystery, adventure, and a winning friendship combine in this much anticipated sequel. Chloe Bristol is an animation artist whose work has been featured on Disney Junior and Cartoon Network, among others. 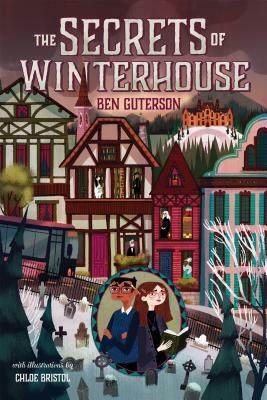 She is also the illustrator of the popular Winterhouse series by Ben Guterson. She lives in Southern California.